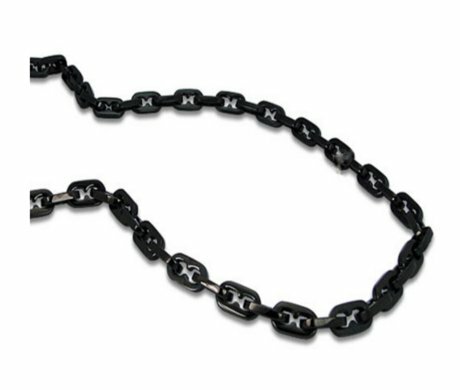 Powerful masculinity practically radiates from this stainless steel necklace for men. Measuring 30 inches long and 9.5mm wide, impressive stainless steel links are finished with a high polished black IP (ion plated) coating. This men's stainless steel necklace is finished with a foldover clasp.